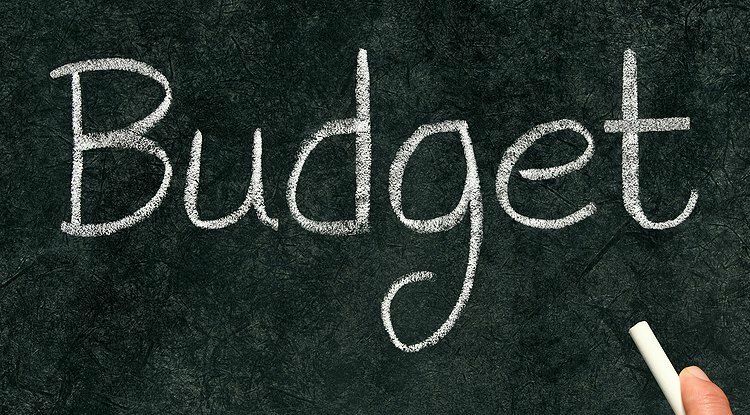 Marketing can be an expensive thing to factor in when getting your hair business up and ready. When we think of marketing, we usually think of how expensive it can be. Whether it’s paying for social media ads or paying influencers to help promote your brand, it all can be relatively costly once you add everything up! But the most expensive marketing strategies don’t always mean it’s always the best strategy for your brand. Dropship Bundles is here to let you know that the more money you put into your marketing strategies doesn’t necessarily mean that those strategies will always help you succeed. Whatever happened to ballin on a budget? That moto still resonates deeply with me, and I’m sure for you guys as well. When you’re starting off in the beginning stages of your launching your hair brand, it’s probably best to go the affordable route so that you can save as much money as possible for the future of the brand. The future is where you will want to spend most of your investments as your hair brand continues to grow. With that being said, that doesn’t mean we think the more affordable route isn’t good enough once you’ve reached success! The money-saving route should be something that’s always considered, whether you’re just starting your business or have already achieved milestones with your business. Ballin on a budget can be just as effective as an expensive budget. The Dropship Bundles team wanted to think of ways to help you guys succeed with marketing without breaking your bank account. If you’re already a Dropship Bundles member, then you should know that we do offer custom branded packaging for your hair brand. Custom branded packaging helps give your hair brand an identity. It will always showcase the company name/logo and will serve as a reminder of the company with information regarding their services. Your logo is essentially the voice of your brand. It represents all that your brand stands for in one illustration. Once you have your logo printed on your custom packaging, your hair brand now has an identity AND a gateway to reaching out to hundreds of more people! Visibility is key when it comes to good marketing. You want to make sure that your brand is making its footprints across the US. Whether that be big or small footprints, every footprint counts! We grow up learning not to judge a book by its cover. But for this instance, let’s just say that the cover of the book does in fact matter. You first want to make sure you capture the customer’s attention with your product packaging. This part is crucial because the packaging is everything, especially when it comes to beauty products. The packaging is what’s going to entice and lead the customer to see what’s actually inside. That’s the “science” of marketing is how we like to look at it. As we mentioned earlier, your logo is crucial because it symbolizes what your brand is really all about. Don’t have a logo design yet? Don’t worry. We offer a logo design service as well! 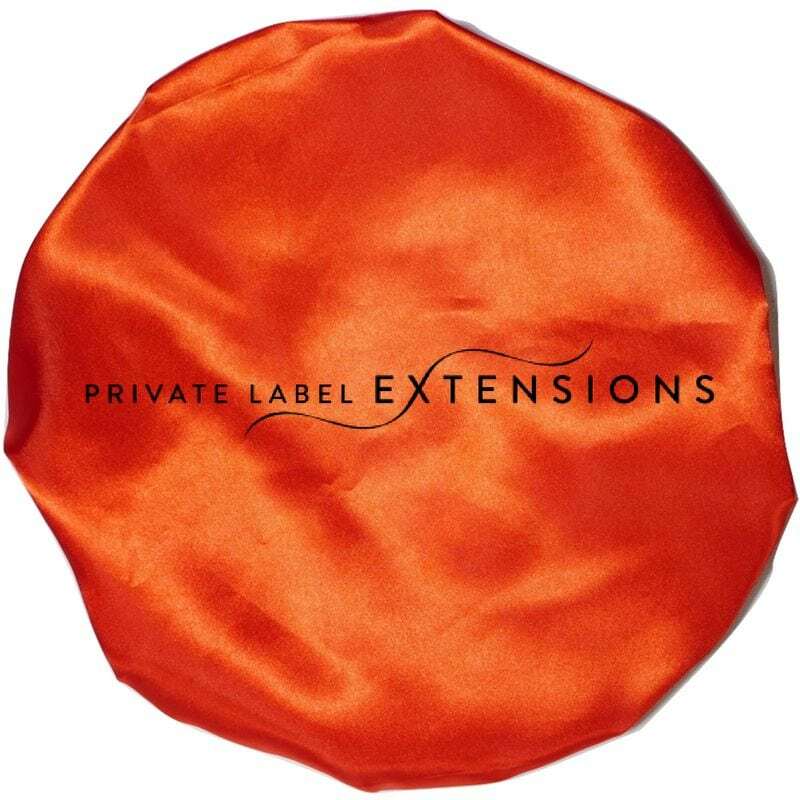 As most of you all know, we work side by side with our sister company, Private Label Extensions. You can purchase to have your logo designed by us by visiting Private Label Extensions website or by clicking on the image shown below. Once you have purchased your logo design, our team will begin designing your dream logo. To ensure that your logo turns out exactly how you want it, we will also send you six different concept choices to choose from. Like how we’ve mentioned many times before, we love giving you guys variety! Once you’ve received your final logo, that would be the first step to your marketing journey. Next, let’s get your logo printed so you can bring your hair brand to life. Our silk hair extensions bags are a staple here at Dropship Bundles and Private Label Extensions. Having your own custom printed hair extensions bags is a great way to get your brand name out there. You never know who may happen to glance or come across one of your custom printed bags. A sister of one of your customers? A friend? A co-worker? You never know! These bags are not only great to ship out your bundles in style, but you can reuse them for other purposes as well. This act of reusing will create more impressions each time. The more exposure your custom printed bags get, the better. Did we happen to mention how affordable these bags are? 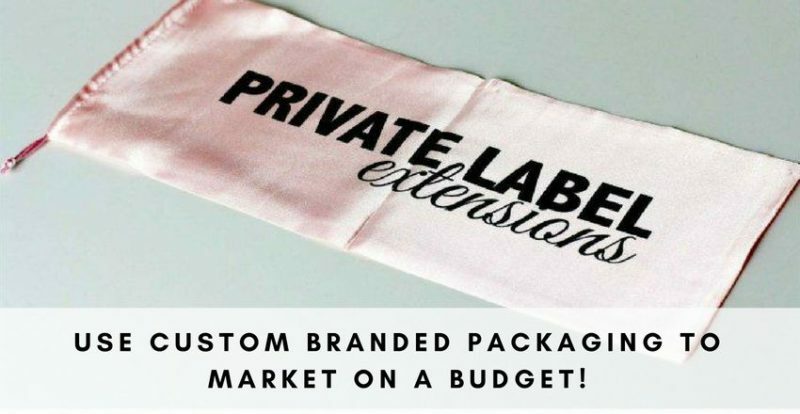 Private Label Extensions offer these bags that equate to under $2.00 a bag. That price is nothing to compared to those fancy box packaging that’s often used. Of course, the box packaging may look pretty, but how often will you be reusing a cardboard box compared to a good quality silk bag? It’s best to think more long-term and realistically. If you’re interested in having your own custom bags for your brand, then click on the image shown above where you can purchase! Our color selections for our silk bags are out the roof. Each brand’s aesthetic is unique in its own way, so we wanted to make sure to offer a wide range of colors so that you can find the right color for your hair brand. Once you have purchased your colored bag of choice, you would then email your logo to agency@privatelabelextensions.com along with your order number so we can get started on printing your bags. Our custom printed bonnets is another excellent affordable marketing strategy as well. All of our silk bonnets are offered in the same color selections as our silk hair extensions bags. Our silk bonnets are not only to protect your hair from breakage but to promote your brand at the same time. It’s like killing two birds with one stone – it’s so cliche, but it’s true! These silk bonnets are typically worn at home at the end of the night, but that doesn’t mean it still can’t get exposure. Come on ladies, we know you guys love to get together at each other’s places and have wine night, do face masks, spill some tea, etc. And one thing about us women is that we pay close attention to things that we have not seen before. Is that is a new purse you got? Your skin looks so smooth, are you using a new moisturizer? You must be using a new perfume because whatever you’re wearing smells amazing. Wait, hold up, where did you get that cute bonnet?? As we said, you never know who’s attention you’re going to get! And who knows! These silk bonnets are so cute you just might end up wearing it out in public for a quick trip to the convenient store. Us ladies always find a way to make it work somehow. These silk bonnets are only $4.79 each when printing a minimum of 50 units. If would like to purchase your custom printed bonnets, then you can do so by clicking on the silk bonnet image shown above. The same process for purchasing custom printed silk bags applies to our custom printed bonnets as well. 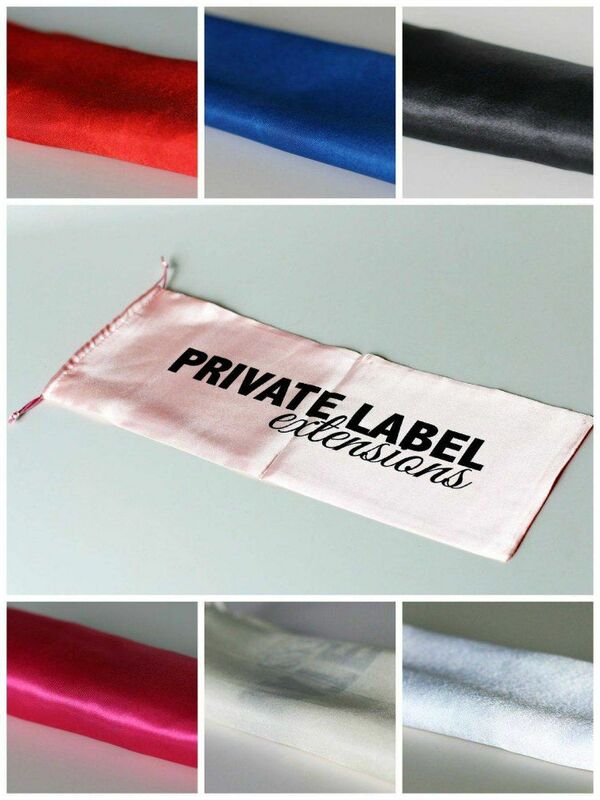 Once you have purchased your colored silk bonnet of choice, you would then email your logo to agency@privatelabelextensions.com along with your order number so we can get started on printing your bonnets. For those that also dropship lashes, don’t worry! We definitely haven’t forgotten about you. Lash labels are also a great way to market your brand. I’m not sure about you, but I definitely reuse my lash cases. That’s because I often reuse my lashes and need somewhere to store the lashes when I’m not wearing them. Lash packaging is everything because you really can get creative with it! It also doesn’t hurt to store your lashes in a cute packaging, especially if you’re going to be reusing the case for future lashes you need to store away. I’m a big fan of wearing lashes, and sometimes I do carry my lashes with me if I need to put them on later in the day for a night out or an evening dinner after work. Honestly, you never know when you need to spice up your look a bit. Lashes give such a differentiating effect that you can change a complete look from 0 to 100 by just adding lashes to your makeup look. Having your handy dandy lash case with you can definitely draw more attention to your brand. It’s all about creating more exposure and awareness! I know if my friends happened to get a glance at a cute lash packaging, they would do a double take! It’s about targeting the right audience as well. Lashes are an easy conversation topic between fellow females. We do offer custom labels for lashes where you can have us design a label for you. This service is focused on the label design only. This will determine how the label itself will look like. If you would like to purchase a label design, then click on the image above for more details. After you have purchased your design, you would then purchase the physical lash labels to have printed (click on the image below). We print all of our labels in bulk so you need to choose the number of lash labels you would like to have printed. Fun fact: We can print up to 1000 labels! Here’s an example of how our lash packaging will look like with a custom printed label. Already have custom packaging for lashes made from elsewhere? No worries! You can submit a photo of the lash packaging to the Send Us Your Branding form. Here you can submit your already made custom packaging, and we will review the submitted photo of the packaging to see if it qualifies for us to approve it. Once approved, we will send you an approval form so you can provide the tracking number once you have shipped the packaging to us. This is not limited to only lashes but is open to other types of custom packaging as well. Sometimes we have Dropshippers that utilizes this type of box packaging for their lashes. Although we don’t offer this type of packaging with our custom branding service, you can still use this packaging if you send to us. You can send up to only 50 of these lash boxes at a time. Can you guys imagine how much creativity you can have with these lash packaging? Whether you use lash labels only or go a bit more beyond and use the lash boxes, you can still achieve cute packaging and good marketing! Saving money is just as important to us as it is to you. The smartest route to go about promoting your hair brand would be to invest in promotional items that will give you the best bang for your buck, and that’s something that we will continue to stand by. We sincerely hoped this article helped point you in the right direction in starting your amazing yet affordable marketing journey!